← Dear Tessa: Coming this fall! 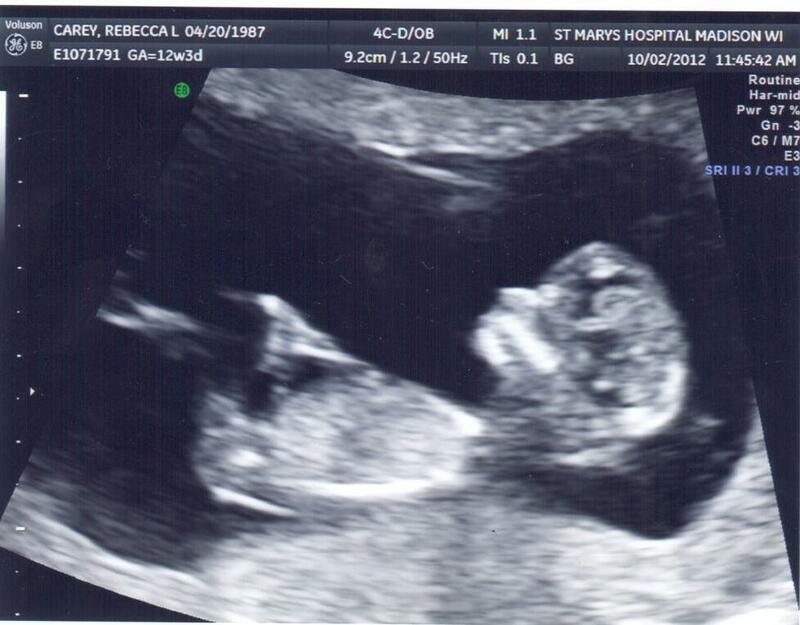 Last week, Dan and I experienced a twelve week ultrasound in Perinatology, otherwise known as Maternal-Fetal Medicine for a nuchal translucency scan and a blood draw from me for the baby. For those of you who do not know what the purpose of this is for, I will fill you in. When I found out I was pregnant in August, I wish I could tell you I was as elated as I was when I found out with Tessa. But I wasn’t entirely. Even though we were hoping to get pregnant around this time, the fear of being pregnant this time around never surfaced until I finally saw the positive sign on the pregnancy test. I also wish I could say that the fear that resonated in me wasn’t because of my darling daughter, but unfortunately it was. Some people can relate to what I am saying, others can’t; and to those that can’t I ask you to keep an open mind. I have heard it a thousand times and a thousand more times will never satisfy my busy mind—“Becky, the chances of you having a child with Down syndrome again are astronomical. The odds are in your favor…” Ah yes, “chances” and “odds.” Both of which are far too familiar to me because not so long ago when the chances and odds were stacked more so on my side than they are today, I became that one in however-many chance—a statistic. So I suppose how I discern chances and odds aren’t exactly parallel with how the majority of people would. Knowing all of this did not matter much to me. I spent my first three months of pregnancy feeling unusually unsettled. I cried almost every day with worry. I went through several ranges of emotion. Of course there was joy and excitement, but sometimes it would not stay long. I would end up plaguing myself with the fear and curiosity of the unknown inside of me. Would this baby surprise me at birth, too? I had set myself up to be robbed of my next great birth experience, and that was my own fault. I knew right then what I wanted. We opted for the nuchal translucency scan and blood test (the added bonus of checking in and seeing the babe would be just what I needed as well). This scan measures accumulated fluid at the back of the baby’s neck via ultrasound. While it does not diagnose, it does determine whether or not a mother would be “at risk” of carrying a child with a chromosomal abnormality such as Down syndrome or Trisomy 13 or 18 or even heart defects. A reading between 1 mm and 3 mm is considered with normal range. Often times, a baby with the aforementioned traits tends to have a nuchal thickness measuring above 3 mm, but not always. The blood test measures a specific level of proteins in the mother’s blood. The results of the ultrasound pair up with the result of the blood test, your age, and your risk factor and you are then given—you guessed it—what the “odds” are that our child is carrying an extra chromosome or if it has a heart defect. 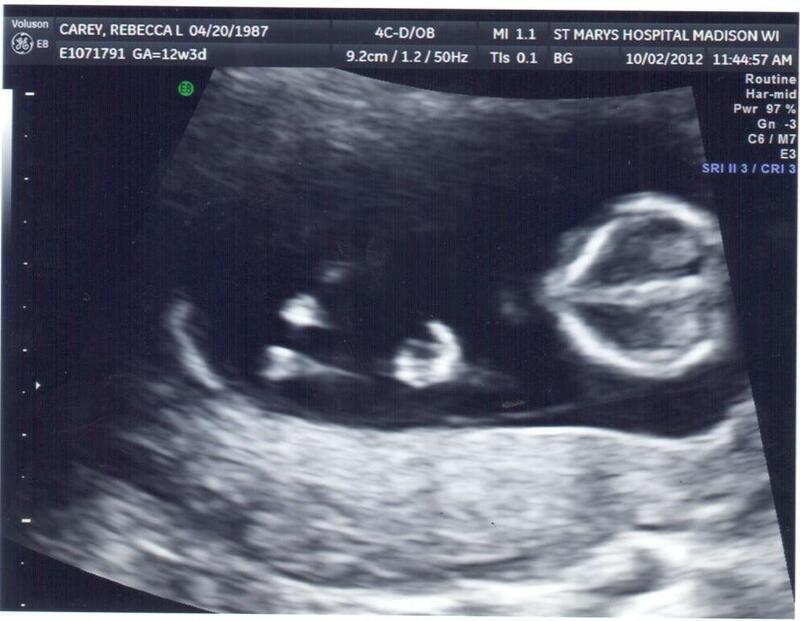 Here is our little one…lively and energetic. Evidently with dad’s energy, it looks like another high heart rate early on just like Tessa had—167 to be exact. And a nuchal measurement of 1 mm. The blood work complimented with the scan well creating promising odds and even though I am not much for chances and odds, they did reassure me. What was I hoping to gain from the information I may or may not receive from all of this? I just wanted to be prepared, that’s all. I was hoping to avoid any substantial surprises at birth. Hopefully that’s still the case when the time comes to meet our next child. I know what it’s like to not be prepared; when you receive news (that was nowhere close to your radar) for the first time and it paralyzes you in a moment when you should be on top of the world. Preparedness. That’s it. That’s all I wanted so I could relax and thoroughly enjoy my pregnancy.